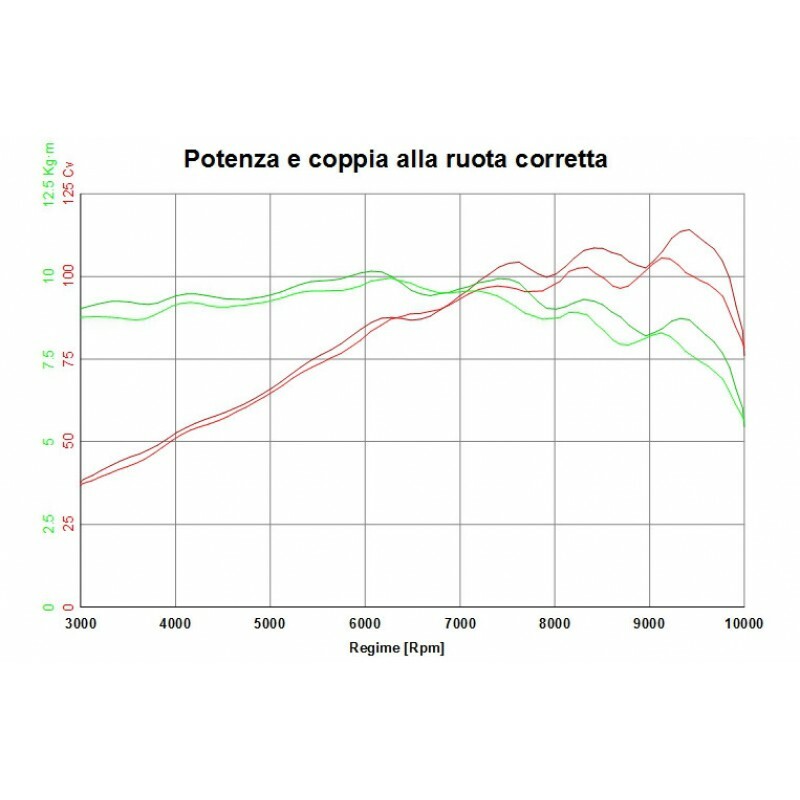 QUAT D or QD Exhausts is a world leader when it comes to creating uniquely designed high performance exhaust systems, made in Italy. SALE PRICE - Only $1899.95!!!! 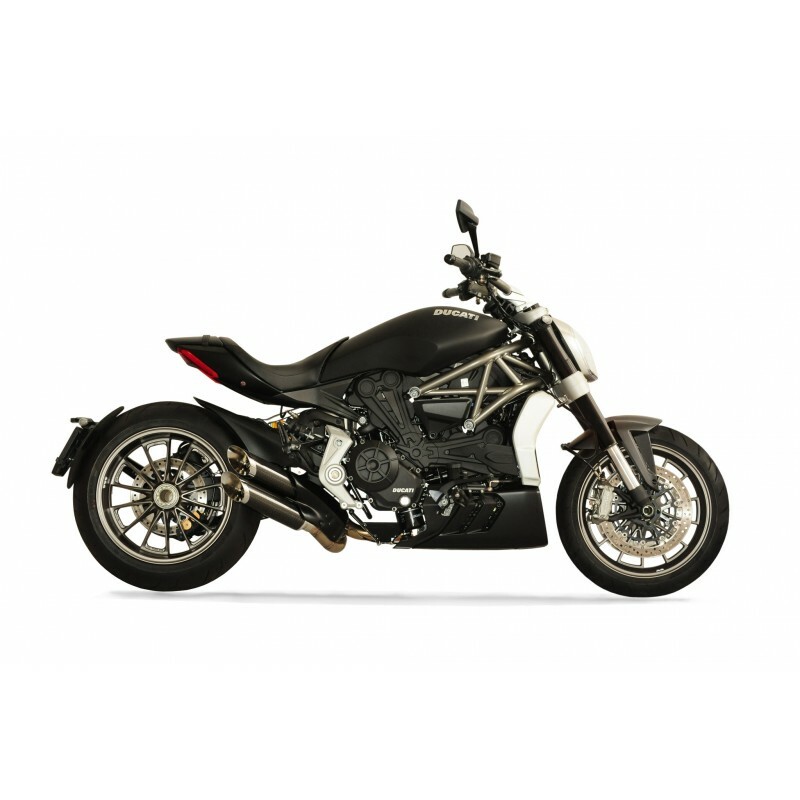 The twin slip-on system for the DUCATI X-DIAVEL. This awesome exhaust is the best expression of the great experience of QD EXHAUST R&D Department, and the sound is AWESOME!!!!!!! The system is a 2 in 2 with a H balancing pipe, the mufflers are slash cut design with a carbon fiber cover, the twin catalyst converters inside the mufflers can guarantee the respect of the most restrictive regulations in terms of pollution; this system is Normally available in a EURO4 homologated But as An EXCLUSIVE to you, our US customers, we will be getting them Catalyst free, Meaning even more performance and less weight than the Dyno Chart shows! This system once again puts QD EXHAUST at the top of the of the manufacturers in the world. The mufflers are also equipped with the newest MONKEY end caps, 2 jewels of design, ergal made, machine worked and anodized with an impressive look. A carbon fiber heat shield is provided to complete this top product. As all the QD EXHAUST systems also this product is covered by 30 months warranty by activating the provided SERVICE CARD on the official QD web site. This MWR Air Filter for your Ducati Multistrada 1200 (15+) and XDiavel is very special - featuring..